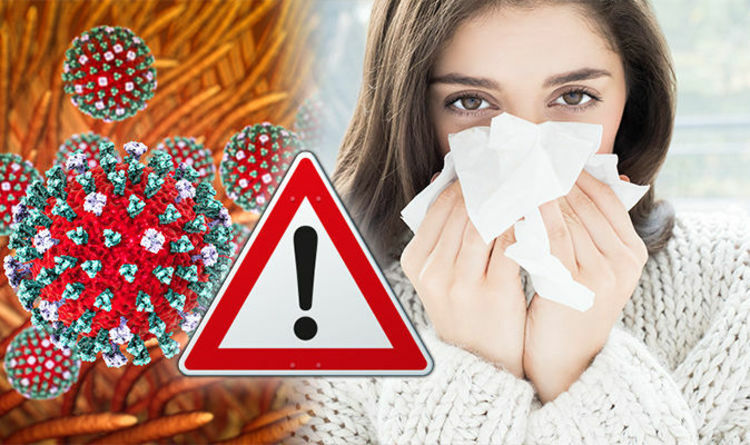 Aussie flu - the H3N2 strain of the influenza virus - is one of the main strains of flu causing havoc in Britain this year. The other is Yamagata flu - nicknamed Japanese flu. Symptoms of Aussie flu are similar to those of normal flu but more severe and include a sudden fever, aching body and a dry, chesty cough. But for those unlucky enough to have experienced the symptoms, catching the flu for a second time in the same season is a possibility. Dr Sarah Jarvis explained about the body’s immunity to the flu virus and why catching the flu again isn’t out of the question. She said: “If you’ve had real flu, not a ‘touch of flu’ - you’ve been laid up completely with a temperature above 39C, aching all over in muscles you didn’t know existed, suffered with a harsh dry racking cough, felt as weak as a kitten, been physically unable to get out of bed - then you’ll have natural immunity now to that virus. “The only thing to point out is having immunity to one flu virus does not give you immunity to another. “There are several strains circulating and two main ones this year [Aussie flu and Yamagata flu] which seem to be causing hospital admissions. For those looking forward to the end of flu season, Dr Sarah Jarvis says it’s likely the virus could stick around until March. She said: “I reckon we’ve got a good few weeks to go. Cases are still on the rise but the rise does seem to be tailing off. “We’ve got over twice as many people in this year to see GPs as we had in the same time last year. The rise is definitely starting to flatten off, and what we do know is, given that we are still two, three times normal levels, it’s got a long way to go before it drops back to a really low level. “I don’t think we’ve had the peak yet. Dr Jarvis explained that there are a number of issues with the flu and the vaccine this year.